Josh Miller from Sportdog and Riverstone Kennels joins us to talk about how early you should start using an e-collar on your dog. There’s a fishing tournament coming to Brainerd in August that involves 3-foot superhero fishing rods and Jamie Dietman will tell us about it. 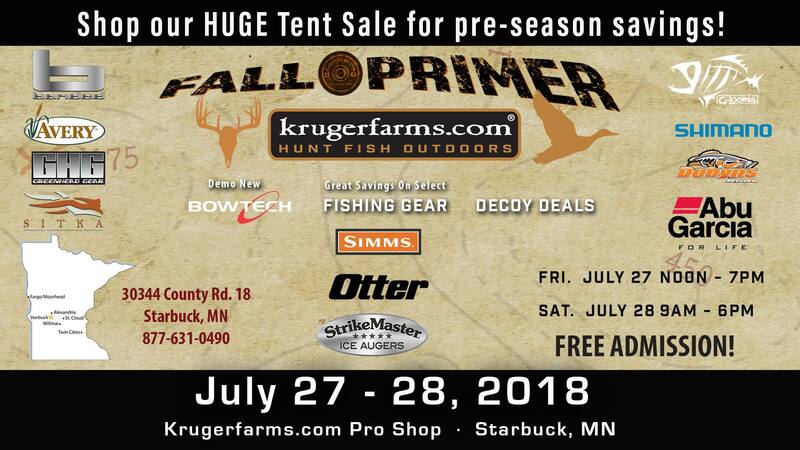 Joe Henry tells us how they’re catching huge walleyes on Lake of the Woods right now and Shannon Foss from Kruger Farms explains the Kruger Farms Fall Primer going on Friday and Saturday July 27 and 28 at Kruger Farms in Starbuck.